If you like the ideas you see in this blog, come out and see the live show. Better yet, bring it to your group or organization. It’ll be high energy, interactive, and practical, with a splash of humor. Participant engagement and feedback is consistently fantastic and you can click on the video below to see a sample. Scroll down further to see descriptions of workshops and keynotes. 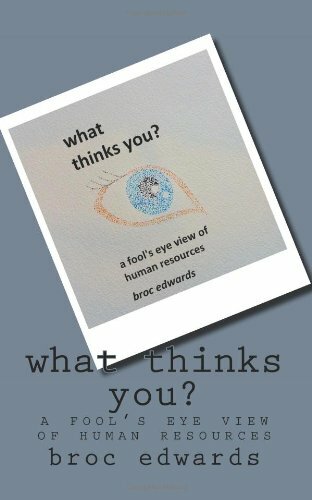 Broc Edwards is an energetic, interactive, and thought-provoking speaker whose presentations focus on helping leaders and HR professionals understand how to create high performance workplaces and develop sustainable competitive advantages through people. Title: what have you done to kill innovation today? In our rapidly changing world, creative and innovative employees are a prime source of competitive advantage. Leaders and organizations want employees to innovate, but often with little success despite all their efforts. With this entertainingly tongue-in-cheek presentation your group will discover how organizations unintentionally block and destroy innovation, and how to reverse and destroy those barriers in order to foster innovation and creativity. How the Innovation Paradox creates a catch-22 situation where organizations cannot benefit from innovation. Common things leaders and organizations do that inadvertently destroys innovation. How to create a culture and organization that enables innovation and creativity to flourish. HR is at a cross-roads and has an enormous opportunity to make a difference. After years of being a largely overlooked support function, business leaders are now seeking more and more from their HR department. The skill and knowledge requirements for a practitioner are increasing almost by the day as the field reinvents itself to keep up with new expectations and opportunities. Status quo and playing safe no longer works. To keep up with the change, there is much discussion about redefining and overhauling what HR is and does. These are important conversations but they often forget that, to the individual just trying to get a job done, revolutionizing HR seems impossibly overwhelming. It sounds nice, but often appears disconnected from daily work. How do we meet rising demands while staying focused on today’s job? That’s the importance of boldHR. No matter who we are, no matter where we are, no matter job title or career stage, we can all find ways to do even better, to be bolder. Whether you’re a senior VP of HR who wants to completely reinvent the HR function at your organization or you’re just starting out in your career and trying to learn the fundamentals, you can be bolder, play bigger, and create even better results. Understand what boldHR is (and what it isn’t). Learn what it means to practice boldHR and the impact it has on employees, managers, and business results. Identify the most important areas they want to improve and how to do that. Create a specific, practical, action plan to create even better results right away. HR is often seen as checkbox support function or a necessary evil to be endured (or outsourced). But what if it were more than that? What if HR were recognized a pivotal part of creating an enduring competitive advantage? It’s not far-fetched and it’s not science fiction. People create business results, people set one organization apart from another, and who better to help the organization excel through its people than HR? In this interactive session, participants will learn a simple model to better understand how and why HR is well positioned to be a key source of competitive advantage for organizations. The connection between HR, the employee experience, and business results. The components of the 4+1 Strategy Cycle model and how they apply to HR. How to use the model to help increase the organization’s competitive advantage regardless of level, position, or organization. Title: what if employee engagement actually mattered? Concern about employee engagement is everywhere. A quick search on employee engagement reveals over 6,600 books on amazon.com and nearly 2.4 million results on google. That’s a lot of books, articles, and blog posts about engagement. It’s on everyone’s mind and it should be. Studies over the past decade show 70% of the workforce is disengaged with estimated costs hitting $450+ billion a year. Clearly this is a problem. Yet, despite all the concern and all the books, the level of disengagement has remained practically the same for the past decade. What other business problem could be so costly, generate so much sound and fury, and yet not change? A better question is: What would we do differently if we approached disengagement as a problem worth solving? 10 practical approaches to creating more engagement (or at least not destroying the engagement you have). The impact of the employee experience on business results and why focusing on the employee experience may be more useful than worrying about engagement.